The SwimSquad is for every triathlete, open water swimmer or recreational swimmer who wants to improve his/her freestyle (=frontcrawl). 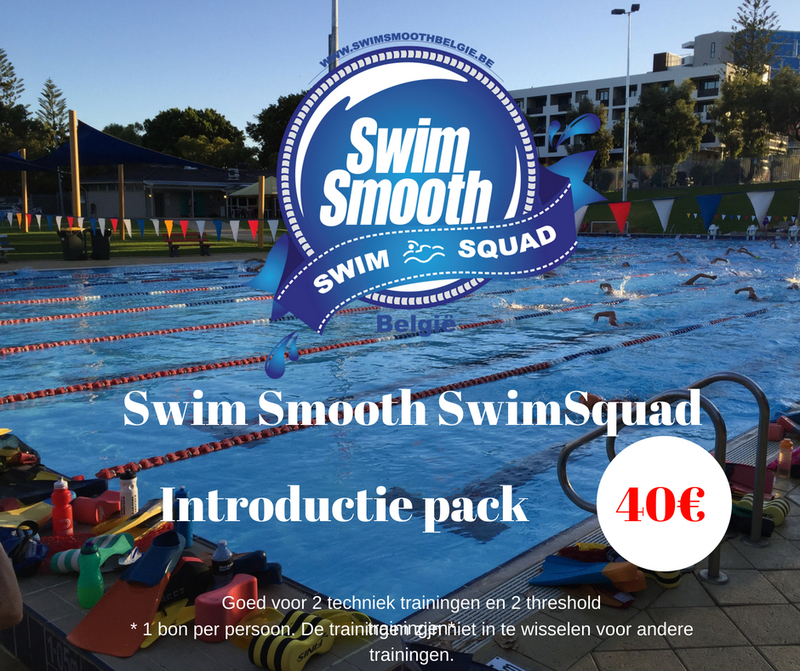 The SwimSquad is built according to the SwimSmooth philosophy and contains a mix of technique, threshold (CSS = Critical Swim Speed), open water specific technique and pure endurance. It is up to you which session suits you best and whether you come to 1 session or want to attend all sessions to have a fully balanced swim program! The number of participants is limited (per session and per lane) in order to offer a qualitative training. Everyone is welcome at these SwimSquad sessions and check each individual training session to see if this fits within your possibilities. Unfortunately, within the SwimSquad we do not have the space to learn the front crawl from scratch, but as soon as you can swim 100m crawl, we can very quickly improve your technique and speed. What can you expect in the sessions? The pure technique session is the perfect starter of the week! The focus during this training is on drills and technique, with a lot of tips to further improve your swimming. A correct execution is much more important than the swimming distances during this session. This training uses the following swimming attributes: pull buoy, fins, paddles, elastic and Tempo Trainer (if you have one). Contact us if you have any questions about your current swimming attributes. The right attributes can be ordered with us if needed. The technique training will take place in the Zenbad, Harelbeke on Monday from 6:30 am to 7:30 am and from 8:00 pm to 9:00 pm (this is the same session that is organized both in the morning and in the evening). Feedback is given during the execution of your technique drills, and you also get a lot of tips to improve your swimming technique. Do you need a more individual adjustment and analysis of your swimming technique then the Video analysis and correction session might be a better option for you. If you wish to improve your swim speed in the pool and in open water over a distance longer than 400m, then this session is for you! The aim of these sessions is to improve your CSS (= Critical Swim Speed). For this training it is therefore very important that every swimmer knows his CSS speed and testing this CSS and comparing it with previous results is a fixed part of this training. These often hard training can include intervals between 50m and 500m around your CSS speed. Although not the main part of this training, technical drills (in the warming) and sprints will also be included here. 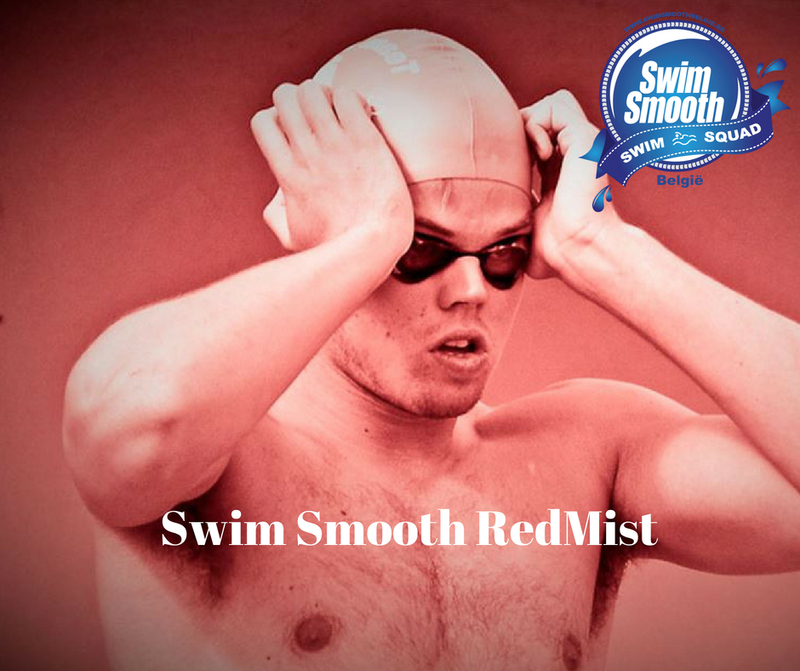 The famous "Red Mist" long endurance training is a training in which 3500m to 5000m is swum for 90 minutes. An ideal training for the Ironman and Ironman70.3 athletes and the open water swimmers who go for the longer distances! This is without doubt the toughest training of the week. 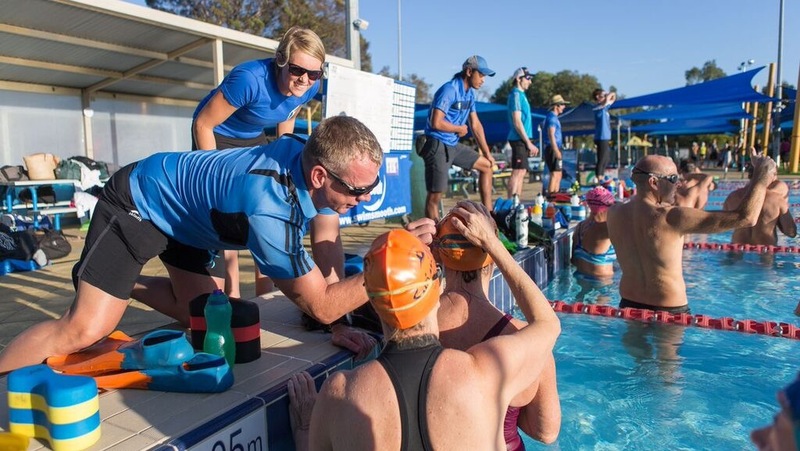 Strangely enough, this is also the most popular SwimSmooth training in Perth, Australia. The only reason is that the swimmers are convinced of the added value of the RedMist and are willing to hurt themselves every week to reach their goal. Interval distances range from different 50s to 2000m (yes, intervals of 2000m ....). These sessions usually use the RM (RedMist) cycles which is different from the CSS speeds used during the threshold set. During the RM cycles, the rest that the swimmer gets depends on his / her swimming speed. The faster, the more rest between the intervals, but the greater the chance that the swimmer will blow up. These trainings usually do not have a warming up to simulate race conditions as well as possible. Do you dare the RedMist? The RedMist will take place in the swimming pool of Kuurne on Saturday from 7:30 am to 9:00 am. Registering for the SwimSquad is very simple and runs through an automatic reservation system. You do not have to pay a membership fee, but we work with a session card. You only pay if you are present. Simple, isn't it! You can book a session at any time of the day or by a session ticket or session card. You can not be present at the training due to circumstances? No problem, you can cancel free of charge up to 12 hours before the start of the training. If you wish to pay for an individual session for the first time, go immediately to step2. We have different versions of session cards. The higher the number of sessions on your card, the lower the price per session. Payment can be made with credit card or Paypal. The perfect way to make yourself familiar with the SwimSquad! If you have purchased a session card, you will automatically receive a registration code. With that code you can now reserve your place on a training course. Enter your code in "Use voucher / package". If you want to make a one-time reservation (without a session card), you will be redirected to the payment module after your reservation has been made.